Highly respected, long-time Miami leader and philanthropist George Feldenkreis will be honored with Federation’s 2016 Friend of Israel Humanitarian Award at The Main Event, Wednesday, February 17. Please join our community in paying tribute to this extraordinary supporter of Israel and the Jewish people. Chaired by Diane and Alan Lieberman, the event will also feature a keynote address by Ambassador Ron Prosor, Israel’s Permanent Representative to the United Nations from 2011 to 2015, and a special performance by a capella sensation The Maccabeats. Click here for details and to RSVP. $100,000 in grants have been allocated to 18 local agencies by Federation’s Jewish Incubator Grants Committee, chaired by Elizabeth Schwartz. 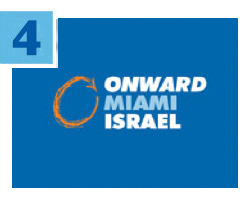 The grants support new social-service, educational and Jewish identity-building programs that meet emerging needs in Miami’s ever-changing Jewish community. The program, now in its third year, aims to provide vital funding to organizations meeting an unmet need or serving unique populations or organizations responding to issues identified by the 2014 Population Study in Miami-Dade County. For details, including recipients, click here. You never know when you will become a recipient of Federation services. Danielle Mor works for Federation’s overseas partner The Jewish Agency for Israel, providing Israel’s terror victims with direct, immediate assistance after an attack through the Federation-supported Fund of the Victims of Terror. Her 26-year-old cousin, Alon Bakal, was recently shot dead by a terrorist in a Tel Aviv café. 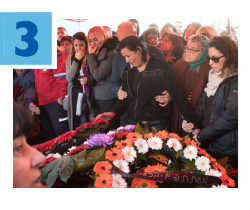 Read more about this tragedy, which struck so close to home. The deadline is quickly approaching to apply for Onward Israel. The highly subsidized program, supported by Federation and The Jewish Agency for Israel, invites Jewish students attending Miami-area universities to live in Tel Aviv for eight weeks and enjoy a professional internship in a field of their choice. Click here for details and apply today. Space is limited! 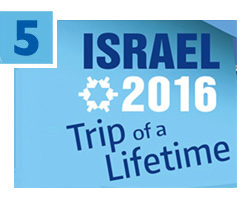 Share the trip of a lifetime this summer on Federation’s Family Mission to Israel, June 16-23, 2016. Experience the beauty and history of our spiritual homeland, enjoy exciting outdoor activities and fascinating private tours, and take part in a special B’nai Mitzvah celebration with your loved ones. Daniel, Iris and Moshe Fujita chair the mission. For details, click here, email Missions@JewishMiami.org or call 786.866.8436. 1/21 | JWorks Miami Free Job Search Workshops! 2/9 | Maimonides Society: Become a Medical Social Media Maven!